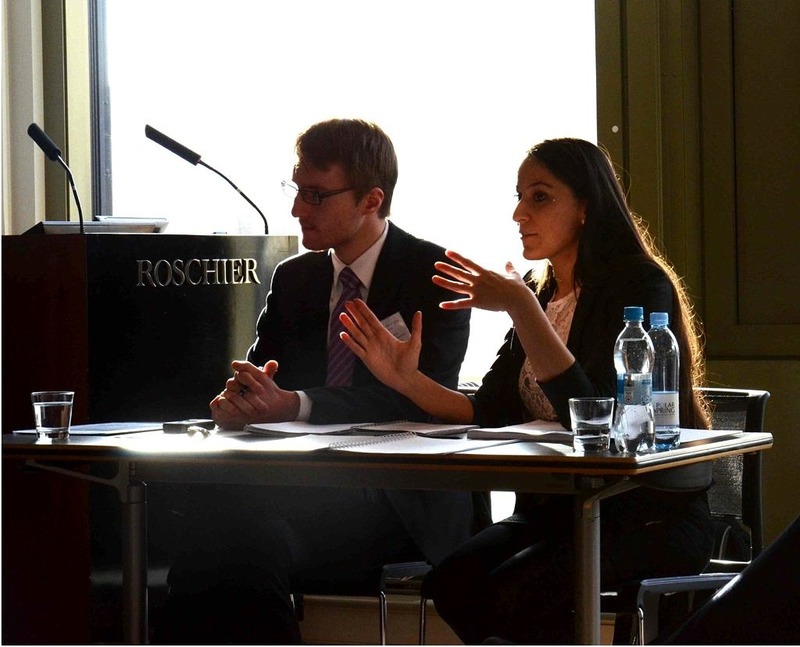 The participation in the Annual Willem C. Vis International Commercial Arbitration Moot Court that is being held in Vienna and organized by the Pace Law School Institute of International Commercial Law is an excellent opportunity that our University has to offer the very best of our law students and international commercial law students. An article about the impressions of the Erlangen Team at the 9th Willem C. Vis (East) Moot in Hong Kong can be found in the September 2012 Issue of ernst on page 18. The goal of the Moot Court is to teach and train our students in international commercial law and international commercial arbitration, two fields of expertise that are highly relevant in today’s international business relationships. The method of teaching is different from the traditional lecture in University. The Vis Moot Court starts with the distribution of a “problem” to our team members. This problem is a fictitious case with a dispute arising out of a legal relationship between two parties. The problem includes legal problems from the United Nations Convention on Contracts for the International Sale of Goods (CISG) and from the field of International Commercial Arbitration. When the team members receive the problem, their task is to change from their student clothes into a business suit or costume and act as real lawyers finding the best arguments for their client (the Claimant; one of the companies involved in the problem) and putting them together in a 35-page memorandum. This memorandum then has to be sent to the organizers of the competition. After this first step, the team will receive a Claimant memorandum (similar to the one they had prepared) from another University. They now have to switch sides and argue on behalf of the other party (the Respondent), against the memorandum of the other University. Once this written phase is concluded, our team will travel to Vienna, together with more than 300 other Universities and more than 1000 law students from all over the world. In Vienna, the team will get the opportunity to present their arguments in a 90-minute pleading session against at least four other Universities. Afterwards, there will be an elimination round of the best 32 teams. The pleadings are conducted by “real” arbitrators: Lawyers, Professors, and Legal Experts from all over the world who consider “Arbitration” and “International Sale of Goods” their daily bread. These leading experts give the students they meet during the pleadings special and personalized advice. The organizers especially try to match up teams from Common Law-Jurisdictions (such as the United States or the United Kingdom) and Civil Law-Jurisdictions (such as Germany and the other continental European countries), so that students have the opportunity to learn about different approaches to the law. Next to the “professional” value this competition undoubtedly has, there is also a huge social value. Where else will a law student have the opportunity to get to know Law Students, Lawyers, and Professors from all over the world? Besides, the City of Vienna has a lot to offer, and the competition allows for enough free time to be spent there. And if this is not enough: The Members of the Team Erlangen have the chance to receive a Certificate of Participation (Seminarschein) and a Certificate of Languages (Sprachschein) which are requirements under their legal training prescriptions at the University of Erlangen. Not little of the people who have participated in the Moot Court as students later have returned as team coaches or arbitrators!